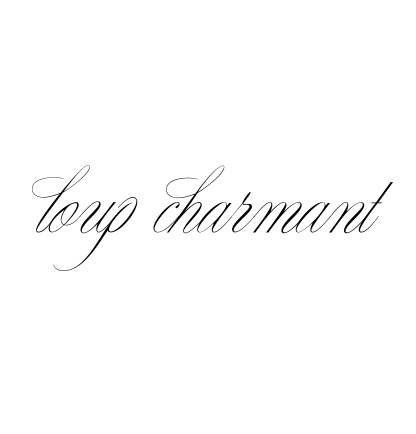 l o u p * c h a r m a n t: LOVE to receive your comments... Thanks & big kisses! LOVE to receive your comments... Thanks & big kisses! Your pieces reintroduce effortless beauty to dressing. Thank you for creating the most beautiful, elemental pieces. I hope to continue incorporating them into my wardrobe for years to come!